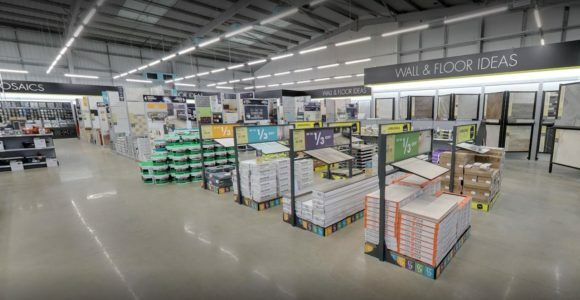 When Topps acquired their new store in Maidstone Langely, the unit had been heavily coated as part of the dialpidations from the previous outgoing client. The floors needed to fit in with the Topps retail profile and Ecoflor were tasked with removal of the dull grey paint. Using their HTC floor grinding machines, Ecoflor ground off the floor paint to reveal the concrete matrix. Following densification, the HTC Superfloor polished concrete finish was complete giving a hard wearing, glossy, easy to clean surface suitabel for high traffic retail environments. The polished concrete floor will give years of hassle free use for Topps Tiles ever increasing footfall. Click on Topps Tiles Maidstone store page here for further details.